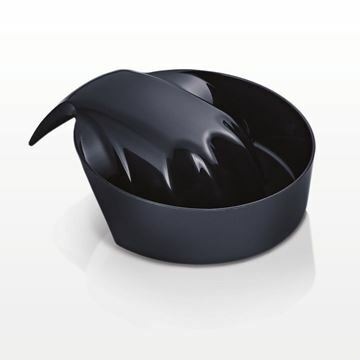 This attractive black manicure bowl has an ergonomic shape that follows the contour of the hand and wrist providing comfort for clients during manicure sessions. This Qosmedix flexible mixing bowl is perfect for mixing masks, dyes and other products. Made of PVC, it has a large base for greater stability. It can be folded for easy pouring and even turned inside out to ensure all the contents are used. The bowl is washable and reusable. Use with any of our various spatulas. Our ergonomic manicure bowls, stable mixing bowls and flexible multipurpose bowls perform a wide range of tasks in the salon and spa. 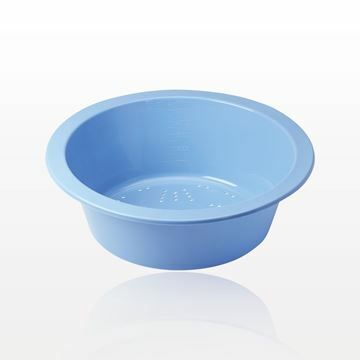 We offer an ergonomic manicure bowl that is contoured to cradle the hand during nail soaking and cleansing. A manicure bowl is designed to keep clients comfortable and relaxed. 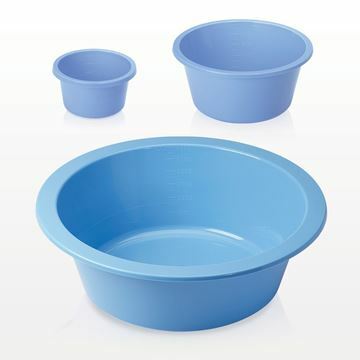 Flexible mixing bowls give professionals the ability to mix and pour from the same reusable container. With their stable bases, these products serve as ideal hair color mixing bowls. Hair or skin care solutions are easily blended in a clear, flexible bowl that can be washed after use. 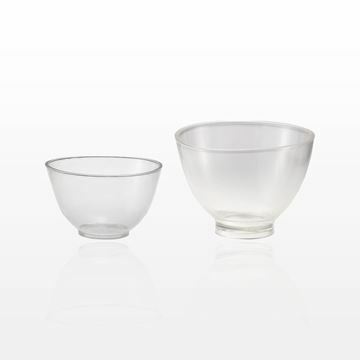 Our utility and solution bowls with measurement markings ensure precise ingredient measuring and mixing. They are available in several colors. Qosmedix specializes in delivering wholesale manicure and pedicure supplies worldwide. From soaking bowls for manicures to toe separators for pedicures, our quality products meet professional demands and stringent standards. When larger quantities need to be combined, spa manicure basins are a smart choice in the beauty environment. Basin markings support the accurate measurement of dyes and solutions. Qosmedix also distributes basin strainers for the effective separation of ingredients. We have commercial quality spa basins, salon solution bowls, ring basins and more. These containers for spa and salon environments come in a variety of colors and materials. 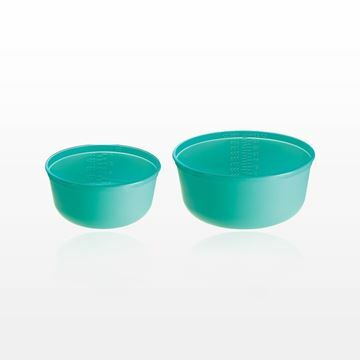 Both the bowls and measuring spoons supplied by Qosmedix feature durable designs. Chat with us about our selection of essential products for the salon and spa. We’ll be happy to answer your questions and assist with sample or customization requests.